You can preview my book by clicking on the red MagCloud button below. If you wish to purchase or just view the book, click on the "find out more" button. Purchasing is through PayPal. 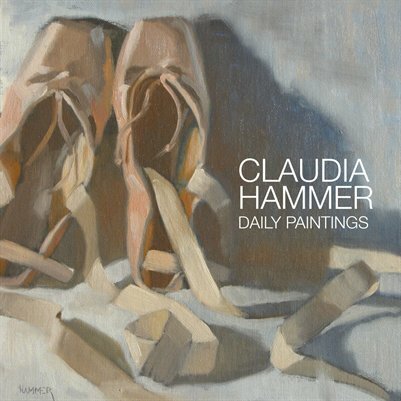 100 small daily still life and figurative oil paintings by Claudia Hammer. She has grouped her paintings according to subject and in this book there are 11 categories, they are: Ballet shoes, Bourbon, Cars, Cherries, Coffee cream & sugar, Eyeglasses, Flowers, Things you can eat, Silverware, Scissors & marbles, Friday oil sketches (which are figurative paintings that are painted on Fridays).